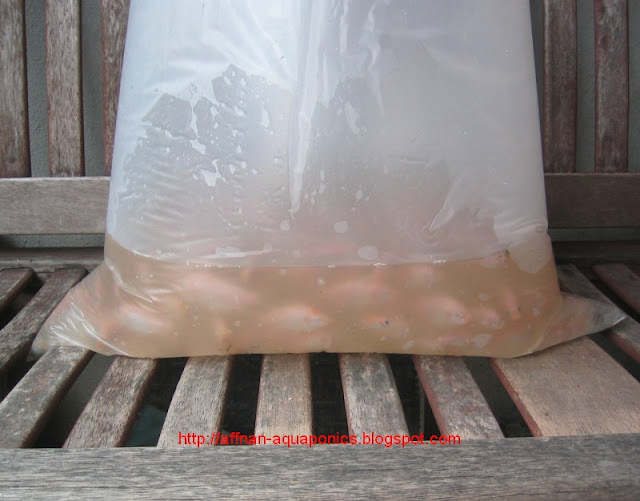 Receive new batch of Red Tilapia about 100 fingerling, US 3.50 for the lot. This time I put all of this fingerling into the main tank. Need to see whether any of it will get eaten by the bigger Tilapia. you have a bigger fingerling there, mine is just half inch big. 10 fingerlings already died since yesterday. @Anon, if you purchase the fingerling from aquarium shop they are not that good. Simple rule of thumb.. look for darker color, the red will reduce if the fish is not healthy during fingerling stage. I get mine from source in the mountains, these are fresh. I am yet to go there myself so that I could take photos and plot on GPS of their where about.